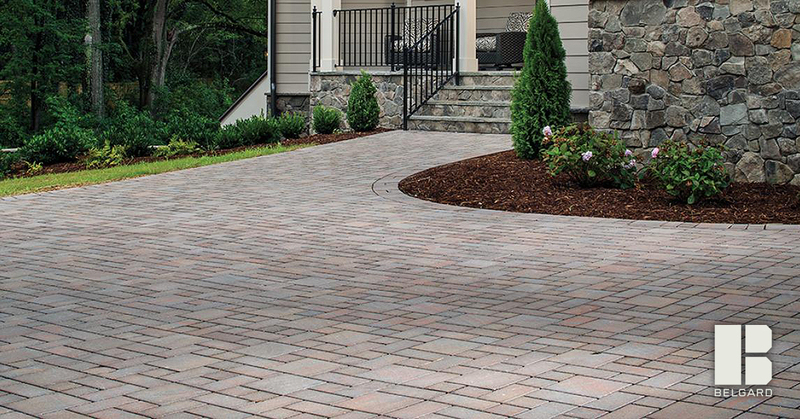 It’s hard to overstate the benefits of installing interlocking paving stones. 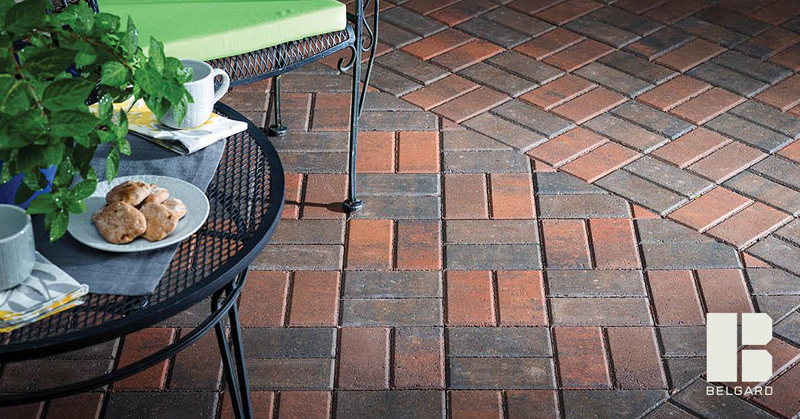 Interlocking pavers are durable. 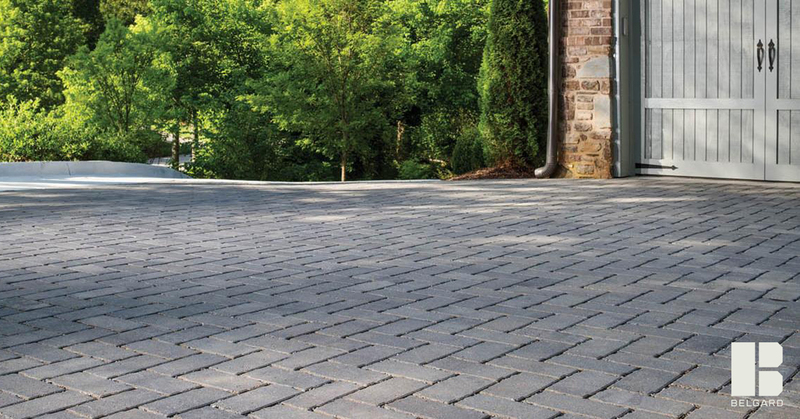 From foot traffic on a walkway to cars going over your driveway paving stones, these pavers are designed to last for decades. They don’t absorb much water, hold up against cold weather better than asphalt, and can meet the freeze-thaw standards of colder climates. What’s the Difference Between Aluminum and Steel Landscape Edging? Writing in the blog Gardenista, Janet Roth calls metal landscape edging the “little black dress” of backyard landscapes. Posted on March 5, 2019 March 1, 2019 Categories UncategorizedLeave a comment on What’s the Difference Between Aluminum and Steel Landscape Edging? Pet-Safe Ice Melt. Does It Work? Is It Really Safe? 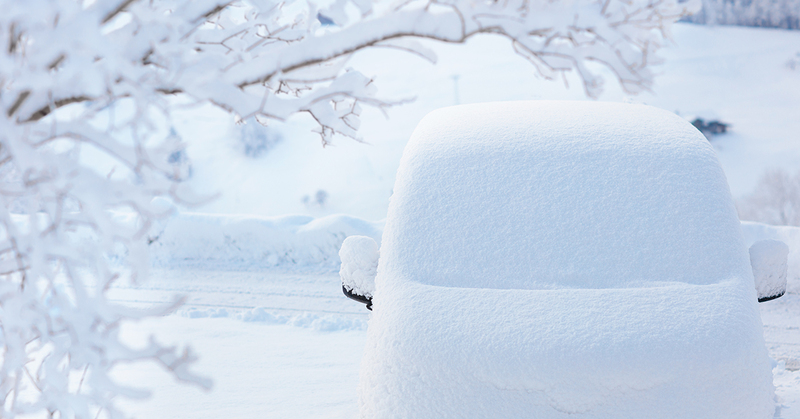 Ice melt is a must-have for homeowners this time of year. It’s vital to have a method of clearing your sidewalks and steps during wintry weather and keeping things safe for you and your family. 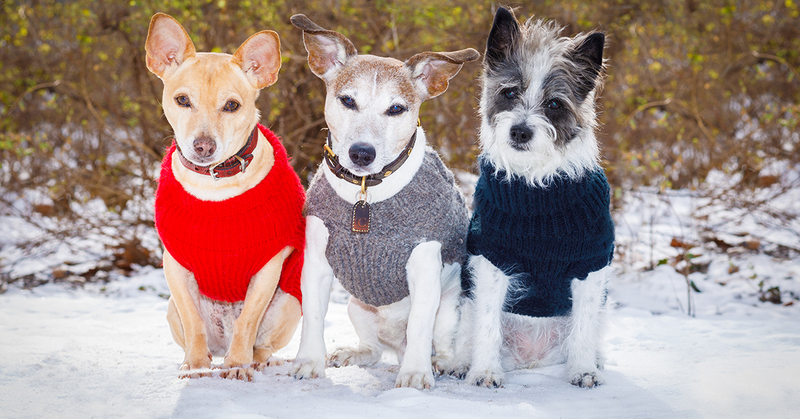 At the same time, you want to make sure things are safe for the four-legged members of your family by using pet-safe ice melt. Posted on February 5, 2019 January 23, 2019 Categories UncategorizedLeave a comment on Pet-Safe Ice Melt. Does It Work? Is It Really Safe? Ice Melt vs. Rock Salt – Which Should You Choose? On Facebook, on TV and at work, everyone’s saying the same thing: There’s a blizzard coming. And then you realize: We don’t have any rock salt at home. You ran out after last year’s big storm, and never got to replenish your supply. Posted on January 8, 2019 January 2, 2019 Categories UncategorizedLeave a comment on Ice Melt vs. Rock Salt – Which Should You Choose? You’ve been putting it off for too long. Thanksgiving is over. Black Friday is over. Every house on your block is lit up, yet yours sits in the dark. 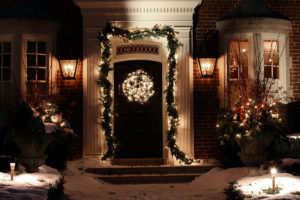 You want your house to look festive, but you’re also wondering how to do that without blowing fuses or tripping your circuit breaker. To which we say: Don’t worry. With proper planning, a little research and a trip to your hardware supply store, you can have the brightest house on the block. Have a plan for where you want to hang your lights. Pick a focal point. 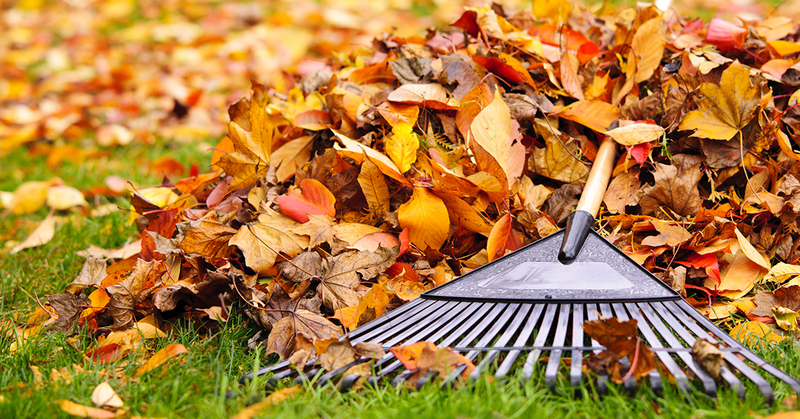 It could be along your eaves or roofline, on top of bushes, trees and hedges, around your porch railing, or framing your windows, doorframes and planters (or some combination of any of these). Make sure you measure any spaces where you want to hang lights to tell you how many strands you need, while also measuring the distance to your power source. You’ll want to be sure you can actually plug the lights in. 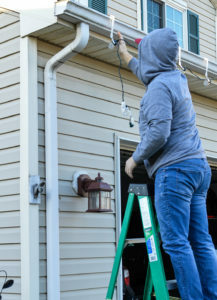 Your safety needs – Head to your hardware supply store to find a reliable ladder, extension cords with a UL-rating and lights approved for indoor and outdoor use. Make sure none of your cords or wires are torn. 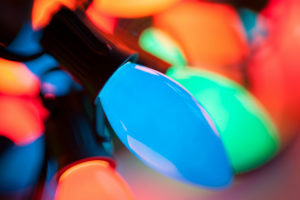 Your light color – Even white lights aren’t precisely white. Classic incandescent bulbs have an orangish hue, while LED lights can appear sort of blue. If they’re hung side by side, they’ll seem mismatched. Avoid this problem by investing in new lights. LED or incandescent – LED lights will help you cut down on your electric bill, and you won’t need to worry about them overheating. Hanging the lights – This year, invest in light clips. It’s easier than struggling with staples or relying on clothespins to hold the lights in place. The first thing you should do is decide where you’ll be working and gather all the supplies you need. It will help to work with someone else, especially if you’ll be climbing a ladder. 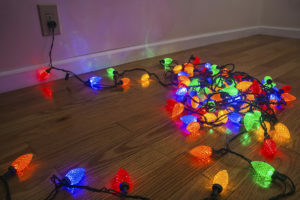 Test your lights before you hang them by plugging them in. The last thing you need is to discover you have a burned out bulb or a non-working strand after you’ve hung your lights. Even if you’ve just brought them home from your hardware supply store, test the lights. You may also want to invest in an outdoor timer that will automatically turn your lights on and off. That way you won’t wake up at 7 a.m. to find the lights still glowing or go to bed realizing that you never switched them on. How will my lights affect my electric bill? People joke about Christmas lights being visible from space, but according to NASA, it’s no joke. In 2014, the space agency reported that nighttime lights shine 20 to 50 percent brighter around many American cities during Christmas and New Year’s. How many lights can my house handle? To figure out the number of lights a circuit can handle, you’ll need to do some math, figuring out how many watts the circuit can take. The equation works like this: volts X amps = watts. Like we said, most homes are 15 or 20 amps, while household outlets are 120 volts. Therefore, a 20-amp circuit could handle 2,400 watts at most. Err on the side of safety and only load your circuits to about 80 percent of their capacity. 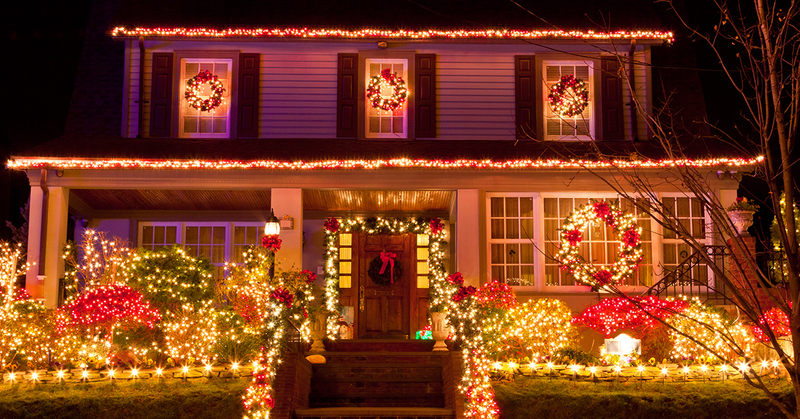 Do you still have questions about which lights will work best for your home? 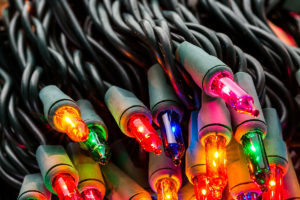 Turn to Yardville Supply, where you’ll find an array of holiday décor, extension cords and other hardware supply equipment to help your home look its best – and brightest – this season. Winter is almost upon us. Nighttime temperatures are in the 30s. There’s frost greeting us on our windshields in the morning. Any day now, the first snow will begin to fall. 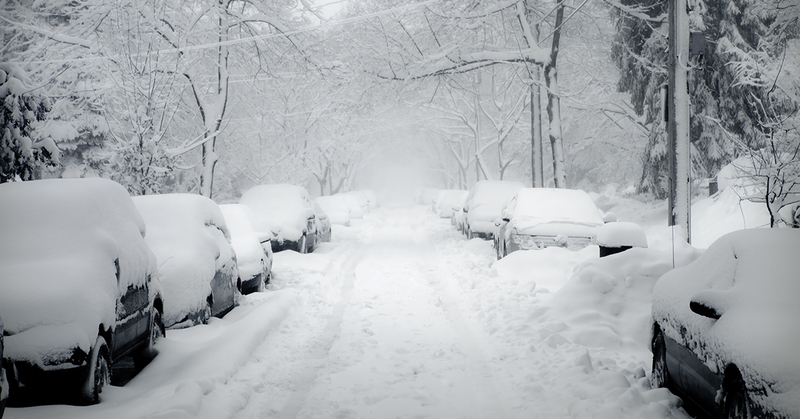 And if there’s one thing we know about winter, it’s that the only thing worse than dealing with a snowstorm is being caught unprepared for a snowstorm. It’s early autumn. You’re home from work, the kids are home from school. The trees have turned red and gold, the wind carries a bite. It would be the perfect night to enjoy your backyard…if only you had a fire pit to keep you warm. If you’ve been dreaming of this scenario, you’re not alone. Over the past few years, the American Society of Landscape’s Architects’ yearly survey has consistently shown that backyard fire pits are the top trend in outdoor living design. 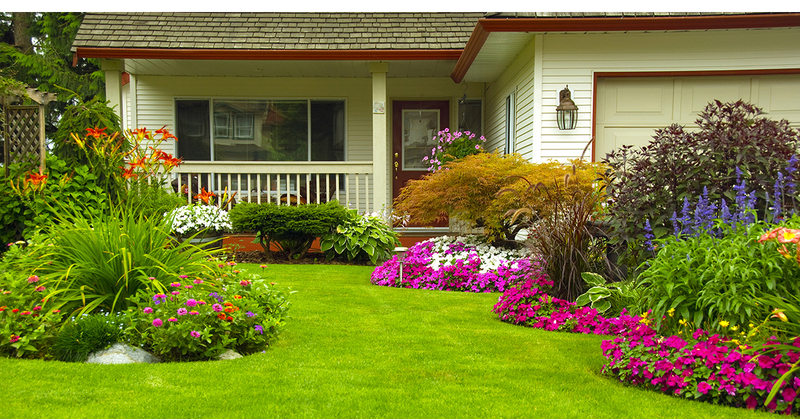 But like with any landscaping project, you’re likely to have some questions. 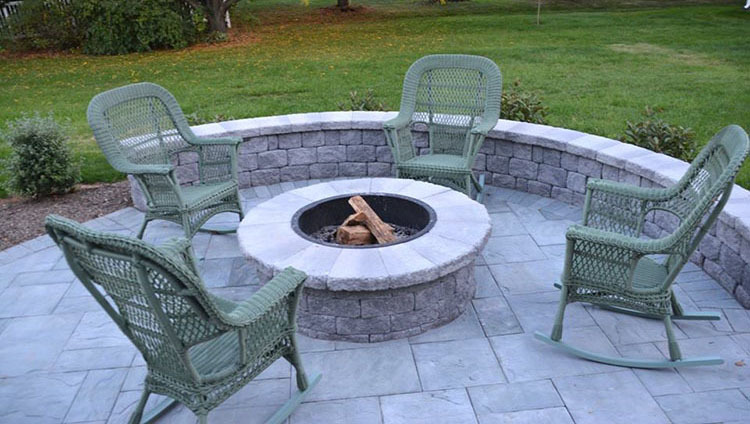 What would it take to install a fire pit? Are there safety concerns? Would a gas-fired fire pit work better or is wood the better option? 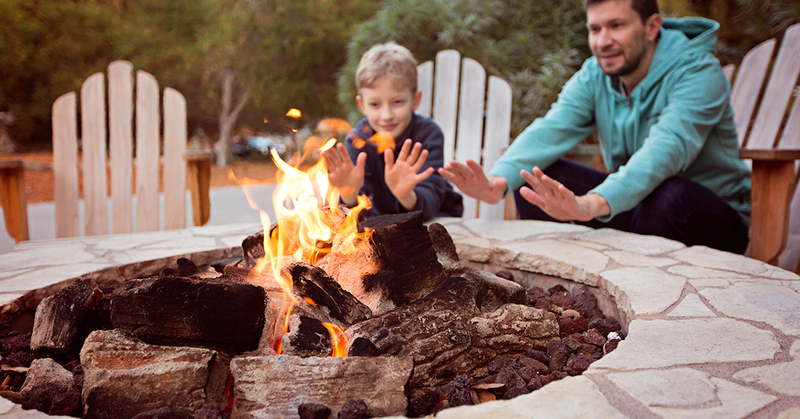 Read on the find out the basics of backyard fire pits, and the pros and cons of wood and gas. Build the pit at least 10 feet from your home, fences, trees, etc. Again, your local building code may have a specific distance requirement. Don’t use gasoline or lighter fluid to light wood, as this can cause the fire to burn out of control quickly. Use dry wood for kindling to get started. Never leave a fire unattended. Keep an eye on children and pets and make sure all guest stay a safe distance away from the pit. Don’t use the fire pit on windy days, as flames or even embers can blow into trees or into/onto your home. 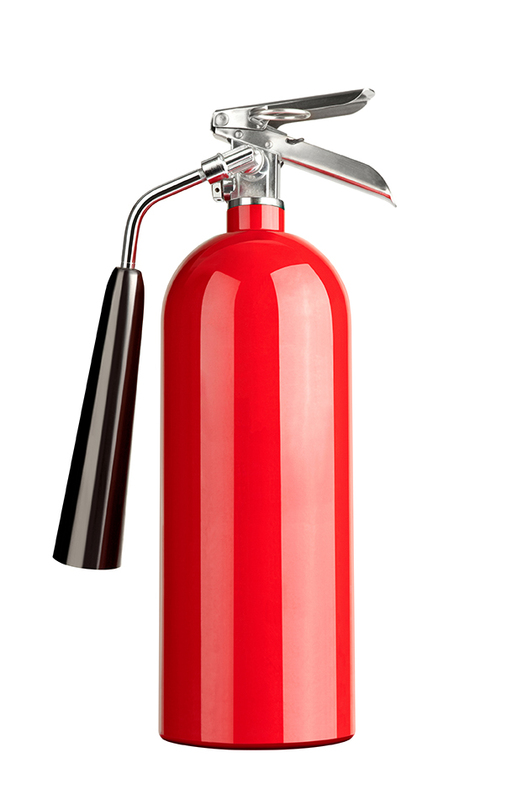 Have a fire extinguisher, sand bucket or garden hose close by in case a fire gets out of hand. Call 911 If you can’t douse the flames quickly. The choice between gas and wood backyard fire pits comes down to two factors: convenience vs. the overall feel of your fire pit. And gas is nothing if not convenient. You can turn it on and off with the touch of a button, and you’ll never have to deal with chopping wood, cleaning up ash or smelling like smoke. Wood, on the other hand, is excellent for cooking. It burns hotter than gas, is cheaper to install and gives off the rustic sound of crackling logs. Whether you’re a fan of wood or gas fire pits, Yardville Supply has something that can take your yard to a new level, all while sticking to your budget. 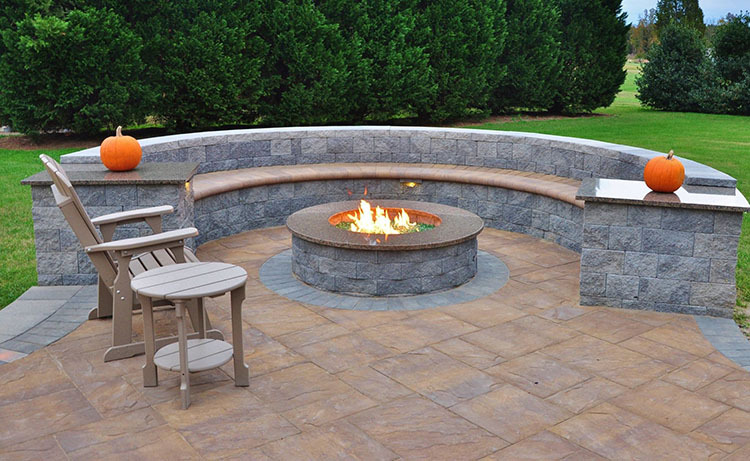 We carry backyard firepits from brands such as Belgard and Cambridge, including Cambridge’s new gas burning fire tables, made from Cambridge Olde English Wallstones and designed to let you, your friends and your family enjoy the feel of an idyllic resort in the warmth and comfort of your yard. Cambridge also offers the option of adding glass fire beads to their fire tables. These specially designed, oval-shaped linear beads reflect light and sparkle when the flame is lit, with their unique shape allowing flames to create dancing, liquid-like display. 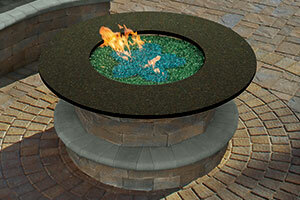 Contact Yardville Supply today to learn more about how a gas or wood-burning fire pit can transform your backyard.